How It Works: Vitamin B12 has the largest and most complex chemical structure of all the vitamins. Most of its functions are related to its co-enzyme activity, such as enzymes required for the production of DNA during cell division, as well as for the proper disposal of homocysteine. 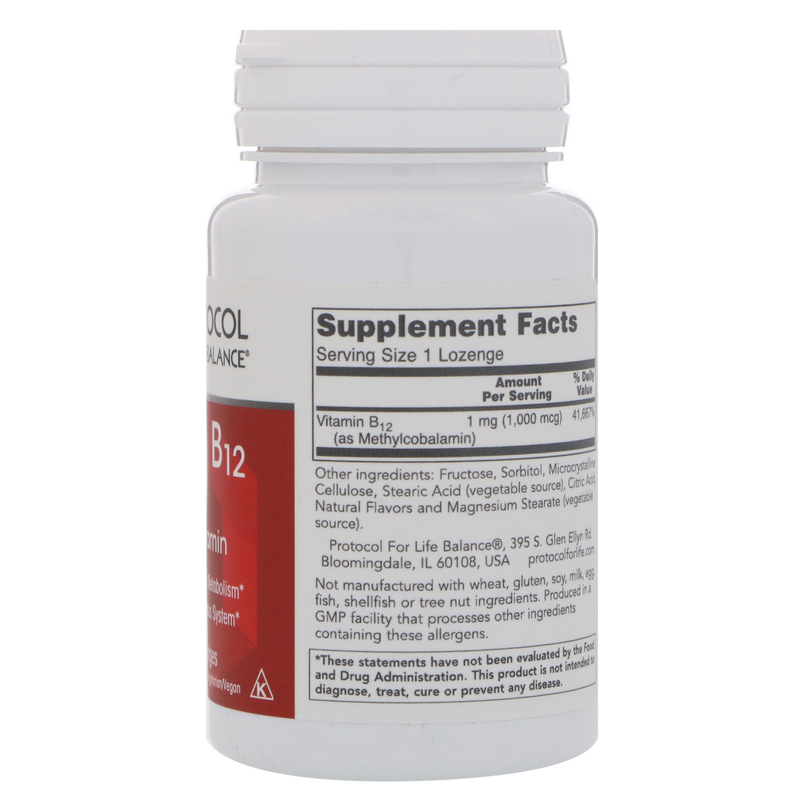 B12 is also necessary for the maintenance of a healthy nervous system. Fructosa, sorbitol, celulosa microcristalina, ácido esteárico (fuente vegetal), ácido cítrico, sabores naturales y estearato de magnesio (fuente vegetal). 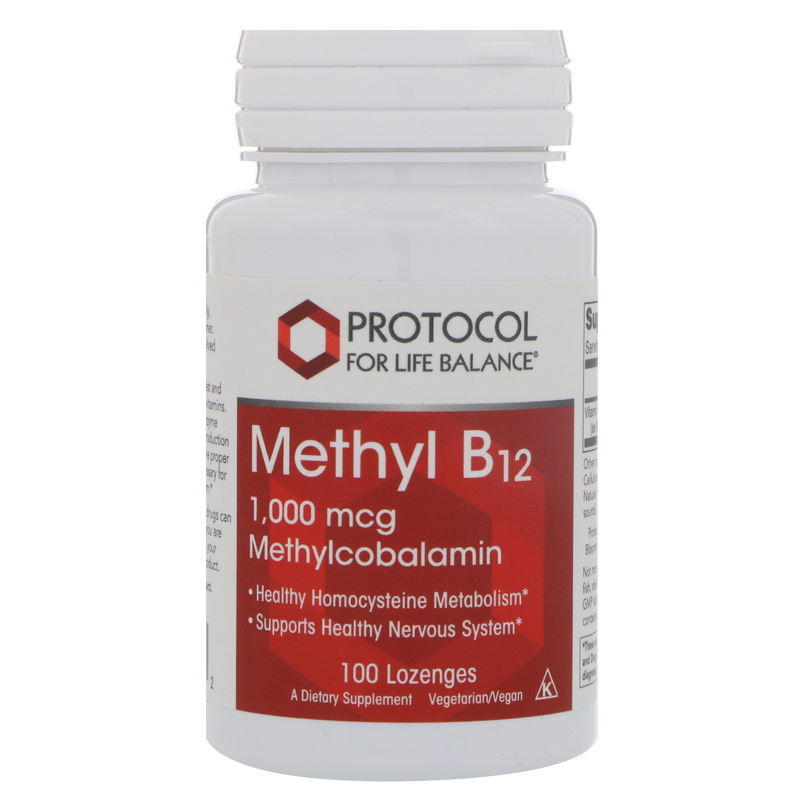 Cautions/Interactions: A number of drugs can affect vitamin B12 levels or its utilization. If you are taking any prescription medications, consult your healthcare practitioner before taking this product.